Private — a wide range of non-academic positions in private industry, including data science, consulting, engineering, finance, etc. In the last 10 years, our department has been streamlining the graduate program, with increased emphasis on early research, publication of the results in scientific literature, and reduced time to graduation. The time to receive a PhD (from the beginning of the first semester at JHU to filing of the thesis to JHU library after the defense) has been steadily declining. In 2012, we again modified the graduate program, replacing half of the course requirements and all qualifying exams with research-based exams and presentations. We expect a further reduction in the average time it takes a student to earn a PhD. 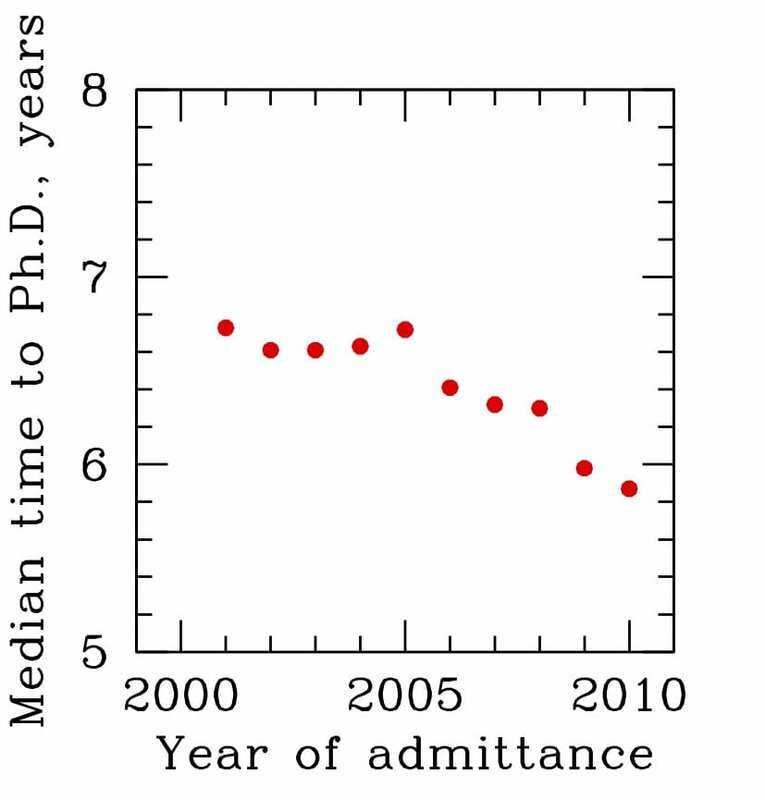 See a graph of the median time to earn a PhD by year of admittance.